I’ve always been fascinated by the wonders of nature. no matter how many impressive things we humans make, they’ll never quite beat the beauty and power of the ocean, or the sheer grandeur of something that took millions of years of wind and water to hew. I think that sense of awe of the natural world must be heightened in countries such as Australia & New Zealand, where you’re surrounded by it. 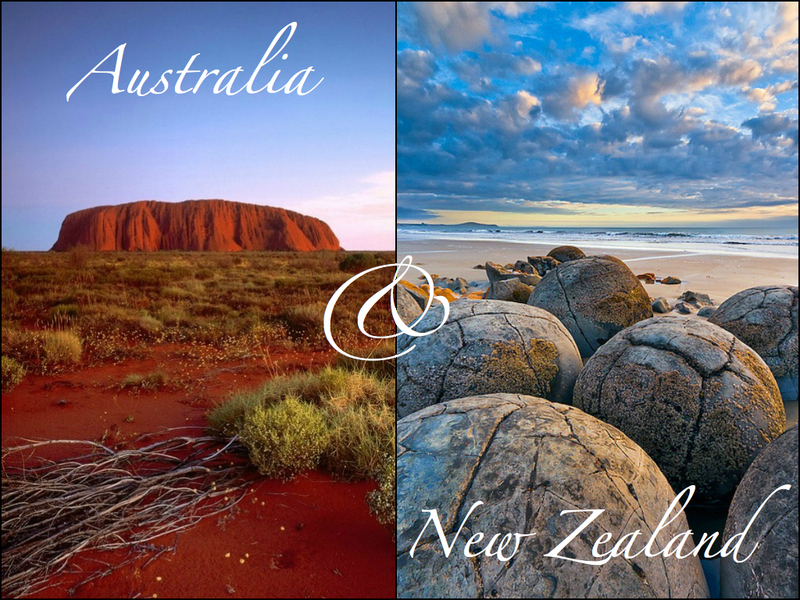 even though Australia’s a massive continent and New Zealand is much smaller, they’re both lands of breathtaking beauty surrounded by seemingly endless ocean at the edge of the world. the fact that it takes near a day’s worth of flying to get to either one of them from most anywhere underscores that fact. I’d love to go to Uluru or Koehoke Beach and just gaze in silence, appreciating the fact that they’ve existed many lifetimes before me and will continue to exist for many lifetimes after. there’s something awesome about that, a testament both to the wonder of endless time and the value of a finite life. to have that feeling alone would be worth the trip. Whoops posted in your account-but I will also add to my original statement that this flight will be a breeze since our trip to the Philippines prepared me for anything! I’ve heard that New Zealand is breathtaking.